Wooden Rustic Sandy Cove Decorative Lighthouse 15"
Blue Anchor Nautical Stripes Decorative Throw Pillow 16"
Classic White Decorative Lifering Clock with Blue Bands 18"
Classic White Decorative Anchor Lifering With Blue Bands 10"
Clear Japanese Glass Fishing Float Bowl with Decorative Brown Fish Netting 6"
Vintage Decorative White Lifering with Red Rope Bands 10"
Wooden Vintage Dark Blue Cape Rock Decorative Lobster Trap Buoy 15"
Antique Silver Cast Iron Mermaid Paper Towel Holder 16"
Rustic Dark Blue Whitewashed Cast Iron Mermaid Towel Holder 8.5"
Deluxe Class Wood and Brass Decorative Ship Wheel 18"
Antique Brass Wall Mounted Anchor Bottle Opener 3"
Floor Standing Admiral's Solid Brass Binoculars 62"
Whitewashed Cast Iron Mouse Door Stopper 5"
USS Constitution Limited Tall Model Ship 50"
Wooden Rustic Columbia Model Sailboat Decoration 16"
Wooden USS Constitution Tall Model Ship 24"
HMS Victory Model Ship in a Glass Bottle 11"
Handcrafted Beach Decor, beach living room, unique nautical gifts, beach bedroom decor, beach home decorating, and more! Handcrafted Beach Decor is the premier manufacturer and supplier of the world's finest beach decorations, palm beach decor, and coastal . As both a manufacturer and direct retailer to the public, Handcrafted Beach Decor is able to provide the highest quality gifts at wholesale prices. Whether your interest ranges from a nautical art, mounted wall fish, oars and paddles, floats and buoys, liferings, or a beach signs, we are your number one source for expertly handcrafted beach decor. 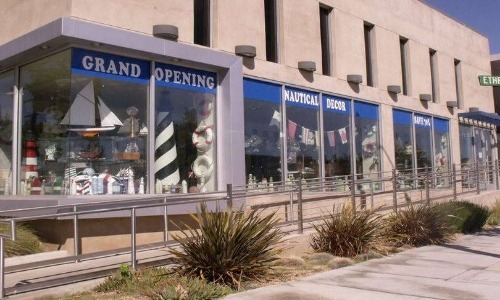 Our extensive online catalog of beach decorations and unique beach gifts includes trendy nautical decor and beach decor. Our decorative items make great gifts for all ages, and will be a stunning addition to your home or office. 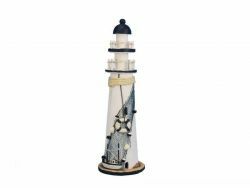 Some of our most popular products include lobster buoys, lighthouses, and decorative beach signs that are all designed by our master artisans and crafted from the finest materials available. Save money shopping at Handcrafted Beach Decor by taking advantage of our free shipping on orders over $39 and paying no sales tax (except CA) on any of your purchases. You can shop with confidence as all of our products must pass a 7 point quality assurance inspection and come with a 100% money back guarantee. Feel free to browse our huge selection of beach decor and contact us with any questions you may have.